The Global Environment Facility (GEF) will provide 2.5 million dollars to promote Maya Ka’an, the destination that attracts sustainable tourism and that will benefit three municipalities. Marisol Vanegas Pérez, head of the Ministry of Tourism, in the state, said they would have the resources by December. They will determine the plan in conjunction with the “Friends of Sian Ka’an” association. 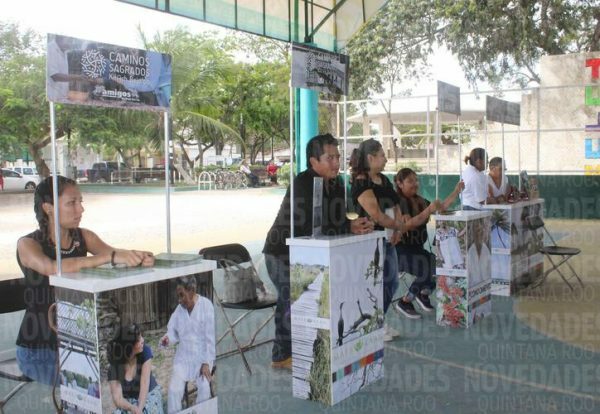 This will boost the community tourism of three municipalities: Felipe Carrillo Puerto, José María Morelos and Tulum, and has been in development for several years, with resources from institutions such as the Inter-American Development Bank (IDB), and now this environmental institution known as “Friends of Sian Ka’an”. “We will have a new brand within the brands of the Mexican Caribbean called Maya Ka’an, 100% sustainable and totally community product with a well made marketing that have already allocated many resources, first through the IDB, then through friends of Sian Ka’an and now with GEF funds”, Vanegas said. “This organization, Friends of Sian Ka’an, has been the driving force of the project from the beginning, we have participated with them in all the negotiations, and we will have a meeting to define guidelines for this new resource and be able to confirm how this resources will be distributed, in what kind of activities, “he explained. Before GEF assignments will be made, they have three other projects in the country, one in Baja California and another in Huatulco, Oaxaca. An important project that will impact this area is the Maya Ka’an project, “we are counting with the support of the GEF. With them we are working through Amigos de Sian Ka’an to obtain an amount of 2.5 million dollars, affirms Marisol Vanegas Pérez, secretary of tourism of the state. Last February a project involving eight cooperatives of the indicated municipalities was presented in Felipe Carrillo Puerto and Tulum. A group of Mayan communities integrate the operator Caminos Sagrados, under the Maya Ka’an brand with the collaboration of Friends of Sian Ka’an, to take advantage of the natural resources, traditions and customs of the Maya culture, for the direct benefit of the population of those places. There is a total of eight cooperatives, including one from the community of Punta Allen, Caminos Sagrados makes its way between the tourist activity of contact with nature, adhering to the official norms established in the matter and quality guidelines.